4 Bedroom Semi Detached House For Sale in Cheltenham for Offers Over £560,000. 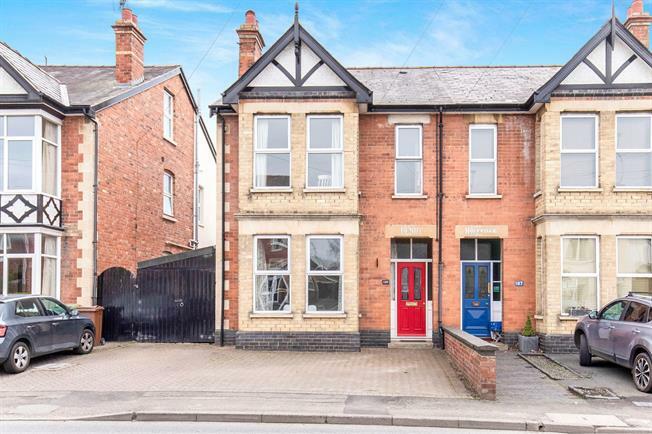 This extremely well presented family home with lots of period features comprises; entrance hall, sitting room with bay window, WC, open plan kitchen/living/dining room with bifold doors to the garden and a working fireplace and utility room with door to the side. To the first floor there are three double bedrooms, one of which has built in storage and two of them have feature fireplaces. There is also a family bathroom. The top floor has a double bedroom with velux window, feature fireplace and eaves storage. This property further benefits from gas central heating, driveway parking, garage, private rear garden and solar panels. This property is a must see to appreciate what it has to offer. Bifold doors to the garden, range of base and eye levels units, island with storage under, built in dishwasher, gas hob, two ovens and fridge and open fireplace.